US networks are notorious for cancelling scripted series early. 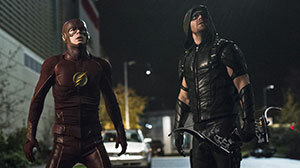 So there was a pleasant surprise for producers this week when CBS/Warner Bros joint venture The CW announced it is renewing all 11 of its current series. Talk about happy customers. 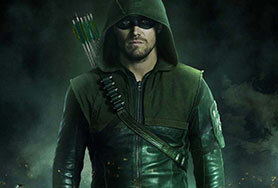 Launched in 2006, The CW is a bit different from the four major US networks (ABC, NBC, CBS and Fox) in that it focuses on a younger audience (18- to 34-year-olds). This is reflected in its programming line-up, which places a strong emphasis on DC Comics-originated superheroes, zombies, vampires, Armageddon and the like. 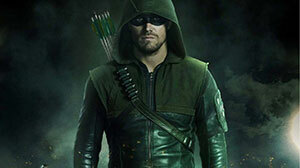 As we’ve discussed before, the top three shows on The CW are all DC Comics-based. The Flash is currently in the middle of season two and a third has now been ordered. 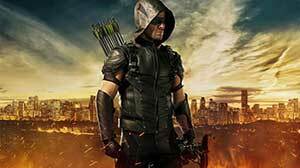 Arrow, meanwhile, has been awarded a fifth run and DC’s Legends of Tomorrow, only eight episodes into its first outing, has been granted a renewal. The next best-rating show on The CW (in the key 18-49 demographic) is Supernatural, which is about a pair of brothers (the Winchesters) who hunt down demons, monsters and ghosts. An incredibly durable series, the new greenlight means it will be up to 12 seasons – in excess of 250 episodes. Hardly anything apart from hit procedural crime dramas go on that long, so it has proven a real stalwart of the network. Indeed, there are reports that the key cast has also signed up for season 13. 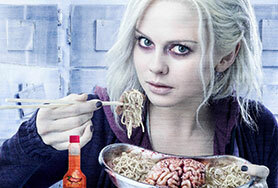 Coming in behind Supernatural is iZombie, which has been given a third season (the clue to its subject matter is in the title). 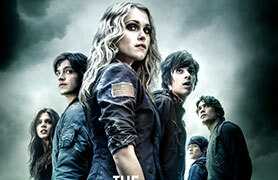 After this comes The 100, which follows a group of young survivors who return to Earth from space stations approximately 100 years after a nuclear Armageddon. 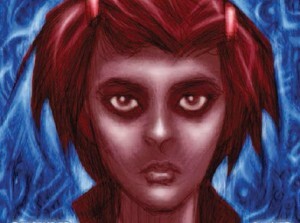 This one is currently drawing about 1.2 million viewers per episode and has been granted a fourth season. The Vampire Diaries, meanwhile, has just been given an eighth season. 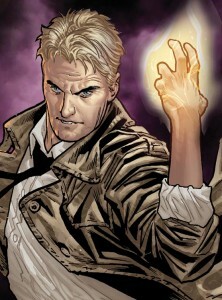 Even more impressive is that the show spawned a spin-off called The Originals (more vampires), which has been granted a fourth season. From here we come to the three lowest ratings performers (in terms of 18-49s). 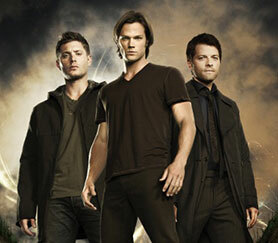 Interestingly, all three break with The CW’s successful formula of supernatural and mythology. Jane the Virgin, for example, is an adaptation of a comic telenovela that has been gifted a third season. Reign, which has been greenlit for a fourth run, is The CW’s take on the story of Mary, Queen of Scots. And Crazy Ex-Girlfriend, bottom of the charts by some margin, is a romantic musical comedy drama that has been given the greenlight for a second outing. Secondly, does it mean The CW is now closed to new shows for a year? Not necessarily. The network has the flexibility to commission some new shows for the summer, or maybe introduce some on shorter-runs. 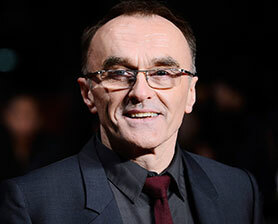 Still in the US, cable network FX has ordered 10 episodes of a new drama from Oscar-winning director Danny Boyle. Entitled Trust, the series focuses on the story of Getty oil heir John Paul Getty III, who was kidnapped by an Italian gang in 1973. 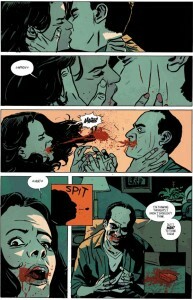 Described as a combination of dynastic saga and an examination of the corrosive power of money, it is the first Boyle project to have been greenlit since he signed a first-look deal with FX in 2014. Executive producers are Boyle, Simon Beaufoy and Christian Colson (who also signed a first-look deal with FX). 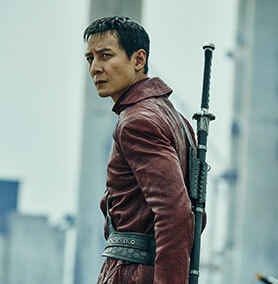 The other big story coming out of the US cable market is that AMC has ordered a 10-episode second season of its martial arts drama Into the Badlands. 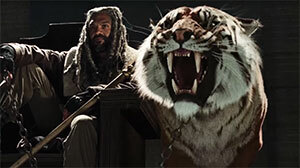 The renewal is no real surprise given that the six-episode first run achieved the third highest-rated first season in US cable TV history (averaging 5.6 million viewers per episode in the Live+7 ratings). In another example of the way scripted shows are used to distinguish platforms, Virgin Media UK has secured exclusive UK rights to DirecTV series Kingdom from Endemol Shine International for its on-demand service. 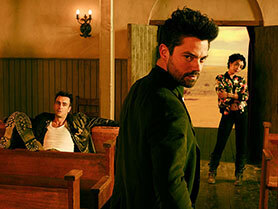 Episodes from the first two seasons will be available to its customers from April 1. This echoes a similar deal last year when Virgin Media took exclusive UK rights to Starz series Ash vs Evil Dead for on-demand. Finally, ITV UK has commissioned an eight-part thriller called Paranoid from Red Production Company. Indira Varma, Robert Glenister, Neil Stuke, Lesley Sharp and Kevin Doyle star in the series, which is being billed as a conspiracy thriller. Red’s parent company StudioCanal will distribute Paranoid internationally. Among the many different TV drama formats that exist on the international market, one that seems to work consistently well for the British TV audience is the feature-length story-of-the-week drama (circa 100 minutes) based around a recurring character. Examples over the years include Inspector Morse, Midsomer Murders, Cracker, Prime Suspect and Sherlock. UK broadcasters don’t commission these shows in very big numbers, usually in batches of three to five on an annual basis. But the successful ones are so durable that, before you know it, there’s a huge library of episodes that can be repeated ad infinitum and sold to broadcasters around the world. Midsomer Murders, would you believe, now runs to 109 episodes, while Morse – starring the unforgettable John Thaw – racked up 33 episodes. ITV’s Morse, of course, has given birth to a dynasty of dramas. After the initial series (based on the novels by Colin Dexter), ITV launched a franchise around his sidekick Lewis. And then it turned its attention to the adventures of the young Morse in series called Endeavour – written by Russell Lewis, whose many credits include Kavanagh QC, Sharpe, Hornblower and Marple. When ITV first announced it was making a pilot of Endeavour in 2012, it would have been easy to complain about broadcaster risk-aversion. But the combination of Morse folklore and 1960s Oxford seemed a dead cert to succeed. And so it has proved – after attracting around 8.2 million viewers for the pilot, the first batch of four films in 2013 pulled in an average audience of around seven million. Ratings have dipped slightly since then, but not enough to damage the franchise. In 2015, for example, the fourth series attracted an average of 6.3 million viewers and a 22% audience share – which is better than most dramas on British TV. So it’s no real surprise that ITV has just announced a new series will go into production in Spring 2016. 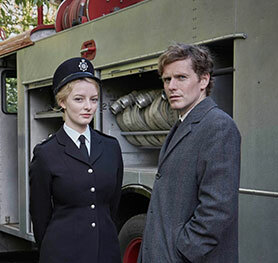 While SVoD and pay TV platforms are currently in the golden age of drama experimentation, the success of Endeavour (when contrasted with ITV’s lacklustre ratings for Jekyll & Hyde and Beowulf: Return to the Shieldlands) is symptomatic of how difficult it is for mainstream commercial networks to be adventurous in their programming choices. This isn’t just an issue in the UK, but also in markets like the US, Germany and France, where there’s a clear difference in audience tastes between the established free networks and subscription TV. Another positive point worth noting about Endeavour is that is distributed internationally by ITV Studios Global Entertainment (ITVSGE). This means the show is a revenue generator twice over for ITV (unlike Downton Abbey, for example, which was distributed by NBC Universal). Mammoth Screen’s involvement is also interesting. An ITV-owned production company, Mammoth Screen has developed the kind of track record that would make it very tempting to back if it were a horse. Aside from Endeavour, it has also made Poldark, And Then There Were None and Black Work in recent times. All of that must make ITV feel pretty confident about the prospects for upcoming series Victoria – also produced by Mammoth Screen. Still in the UK, this week saw the return of Happy Valley, from Red Production for BBC1 and written by Sally Wainwright. The first series is widely regarded as one of the best British dramas of the last few years – so there was some anxiety that the second series might prove to be a let down. However, the new run has started incredibly strongly, attracting 6.5 million viewers for its first episode, the highest for the show so far. 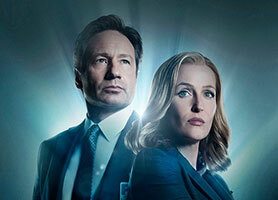 Another strong performance in the UK came from the reboot of Fox US’s iconic series The X-Files, which is airing on Channel 5. 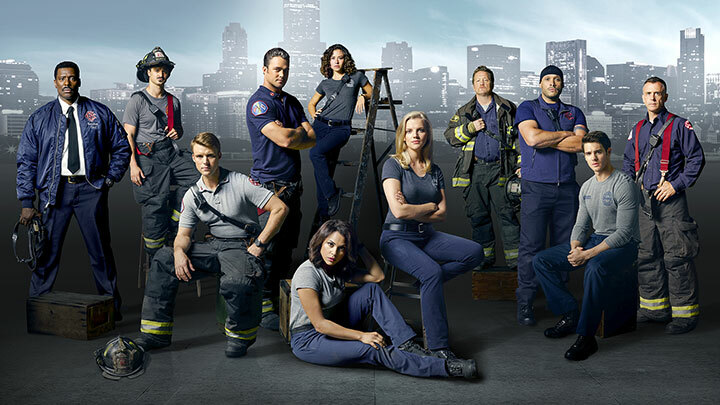 The first episode of the six-part show attracted 3.35 million, the highest launch of any US drama on the channel since 2009. In the US, meanwhile, episode four of the new X-Files attracted 8.3 million viewers, very similar to the previous episode’s figure. 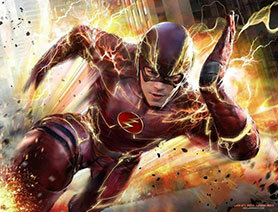 Another series that deserves some credit for its remarkable consistency is The CW’s highest-rated show, The Flash. Over the course of a 23-episode first season, the show averaged 3.84 million. 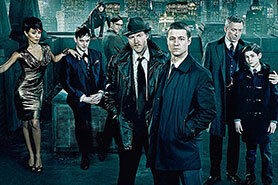 Season two started slightly softer, around the 3.5 million mark, but has got stronger as the series has progressed. Now on episode 13, it has just recorded a season high of 3.96m viewers and its highest share of 18- to 49-year-olds to date. The Flash is based on the DC Comics character and is part of a much broader alliance between The CW and DC that is working incredibly well. 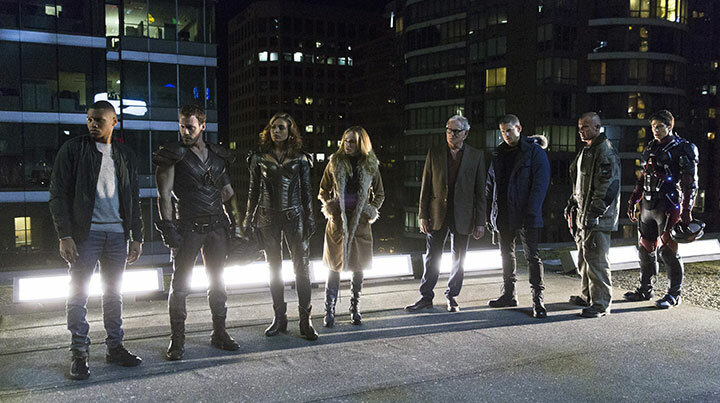 At the time of writing, The CW’s number-two show is DC’s Legends of Tomorrow (which launched in January), while number three is fellow DC-based show Arrow. The CW, it should be noted, is 50% owned by Warner Bros, which also owns DC. 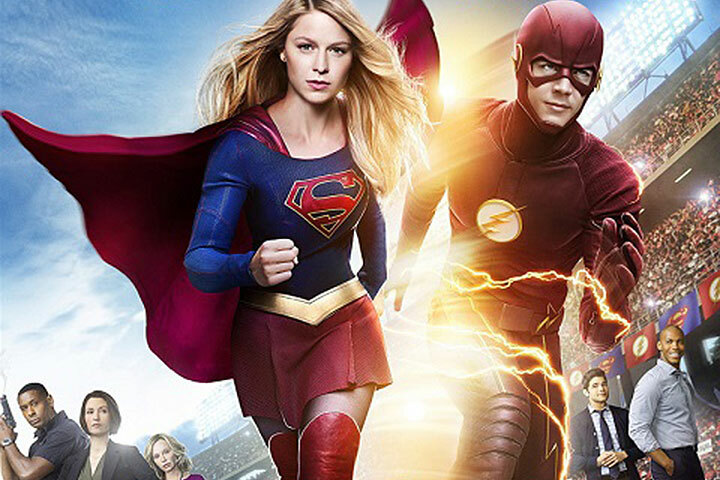 Linking all three shows are writer/producers Greg Berlanti and Andrew Kreisberg, who were also both involved in CBS’s reboot of DC’s Supergirl. 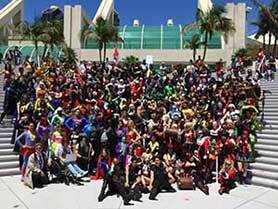 CBS owns the other 50% of The CW, creating another nice link back into the extension of the DC franchise.